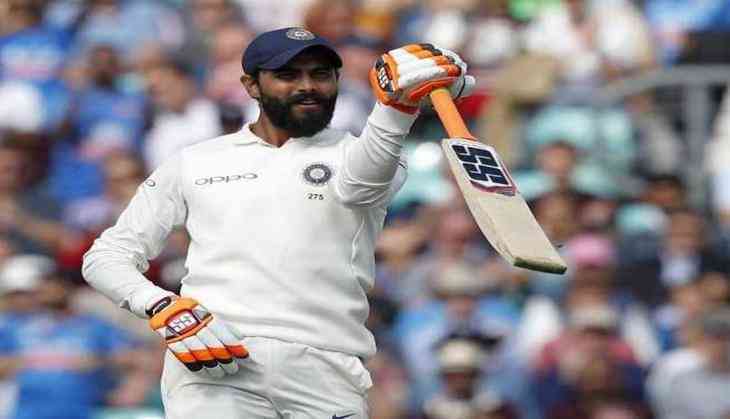 Ravindra Jadeja hits his maiden century against West Indies. India were 632-8 when Umesh Yadav got out after hitting a six. As Mohammed Shami came to the pitch Jadeja started hitting shots as he knew that Shami was the last wicket remaining and he got no time left. India today also broke a 39 year old record against West Indies by giving them a big total of 649, India in 1979 made a 644 target against West Indies which was yet to be broken, but Jadeja and Umesh Yadav on a 8th wicket stand made a partnership of 55 runs that helped India achieve this record. Jadeja remained not out at 100* as Indian team declared the innings.